Claudine Chen-Young is a partner in Katten’s Structured Finance and Securitization practice. Her work focuses on advising issuers and underwriters in connection with asset financings and securitizations involving a number of financial assets. She assists clients in developing and executing complex deal structures and novel transactions. In particular, Claudine has extensive experience with securitizations of all types of residential mortgage loans and mortgage-related assets for both registered offerings and private placements. 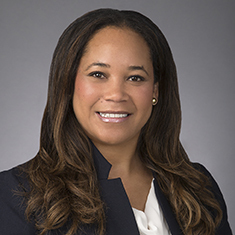 She has assisted companies and underwriters with establishing new mortgage-backed securitization programs for first-time issuers, and has advised clients in connection with other asset-backed securities offerings, including transactions involving auto and credit card receivables. Claudine also advises financial institutions, such as banks, investment firms, real estate investment trusts and hedge funds, with regard to bulk mortgage loan trading and financing transactions, as well as other asset acquisitions and dispositions. Claudine has represented clients in connection with the purchases and sales of a wide range of mortgage products, including prime jumbo mortgage loans, seasoned reperforming and/or nonperforming mortgage loans, real estate owned properties, construction bridge loans, loans backed by single family rental properties and small balance commercial loans, and mortgage servicing rights. She has also represented clients in connection with other types of asset purchases, such as consumer loan portfolios and auto loans. Shown below is a selection of Claudine’s engagements.